The billionaire Dolan family, which once owned Cablevision, filed a suit against Altice USA earlier this month for allegedly terminating News 12 employees in violation of their sales terms. Altice USA had acquired News 12 Networks’ parent company Cablevision back in 2016 through a merger worth $17.7 billion, which the Dolans said they thought was necessary to preserve quality news coverage. Among the suit’s plaintiffs are Charles Dolan, the founder and former CEO of Cablevision who owns Newsday, his wife Helen, James Dolan, the former CEO of Cablevision who currently heads the Madison Square Garden Company, Patrick Dolan, the president of News 12 at the time of sale, and news anchor Colleen McVey. The suit, filed in the Court of Chancery in Delaware, seeks to prevent the termination of employment of individuals at News 12 and hold Altice USA in compliance with the News 12 Business Plan until at least 2020, as agreed upon in a 2016 merger agreement. According to the lawsuit, Altice terminated “upwards of 70 employees” at News 12 in Spring 2017, thus lowering news coverage quality, and announced in late summer to Patrick Dolan — currently a senior network advisor for News 12 — that they plan to layoff more employees. Among those employees was longtime anchor McVey. 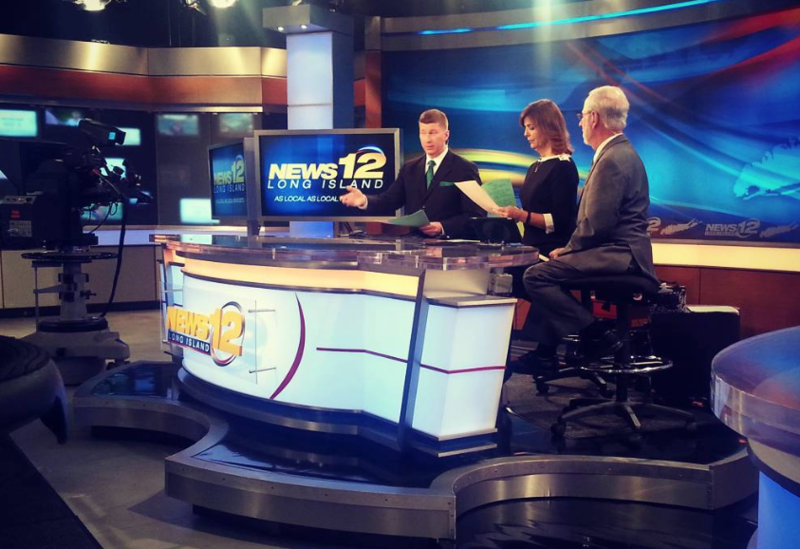 News 12’s coverage area spans more than 3.3 million households as of 2016, according to Altice USA. Its regions of coverage include Long Island, Brooklyn, the Bronx, Westchester, the Hudson Valley and New Jersey.